It’s the little things in life that make me happy. 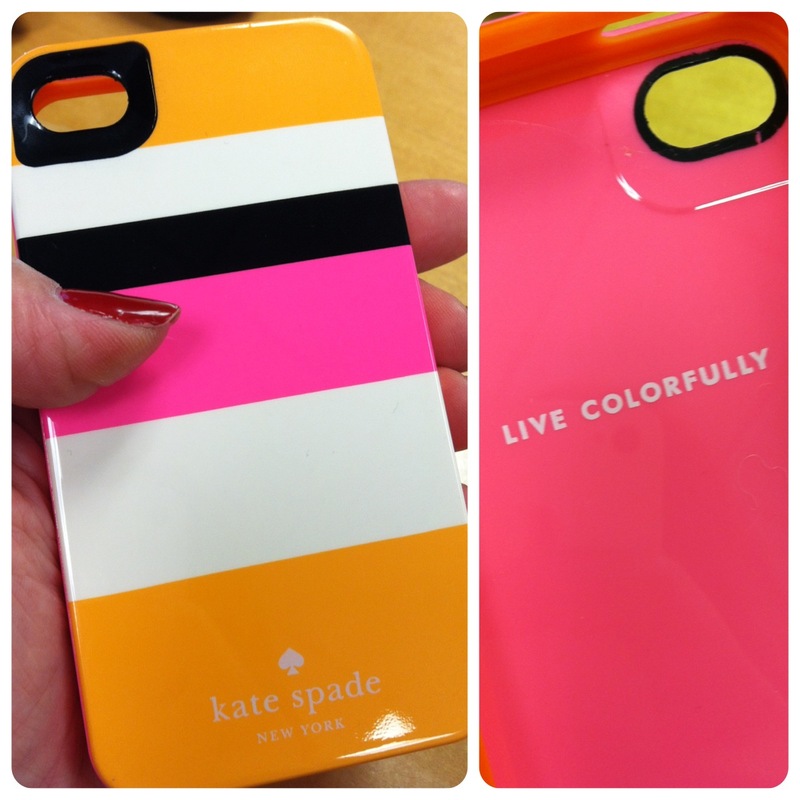 Like my new Kate Spade iPhone case! I’ve been eyeing this little jewel for awhile thinking I could find a better deal, but who are we kidding. Accessories dominate my impulse buys. Sure I’ve had more buyer’s remorse than I care to admit, but this thing has been calling to me for months! Yes, months (patience is necessary when funds are short). So, I finally caved. I can skip my lattes for a couple weeks. Loving the saying on the inside of the case. p.s. Stay tuned for more island adventures in Island Hoppin’ Week 2!